FINE! I'll hop onto the bandwagon. Hey, I'm LB, and I ran out of ideas already. Wow. Really? Okay, I'm off topic, in my own post. GG, me. I've been on the site for a while, and I have to try not to scare the newbies with my antics. My first console was a Playstation 1, and I got a Playstation 2 soon after. I then moved to Gamecube and eventually the Wii before buying an Xbox360. Around March this year I built my PC and I've been a PC gamer ever since. EDIT^2: I APPARENTLY CAN'T STRUCTURE A DECENT SENTENCE! I guess I was already born a PC gamer (there's a photo of my dad and me on his lab, doing "something" with the keyboard of his PC where I am only a couple months old (my dad is a software engineer)). I just started playing regularly on PC back when I was 11 and never stopped. Im 18 years old and live in holland, isnt that vierd? Jesj. I have been on symthic for a while, i found it when searching for stats and i stayed since the people here are even weirder then i am. Battlefield 3 is my second battlefield as well as my second FPS. Bad company 2 being the first. (if you dont count playing against bots and friends in battlefront 2. Btw, this thread will not be used by new members, but its a good excuse to goof off in another thread. Hello, my name is Jenkins, and I'm an alcoholic. I'm Failure (also known as Otacustes) and I'm a sophomore/year 3 in highschool studying for graphic design. Found Symthic while watching a breakdown of some weapon on a Youtube video. I like all genres of games and I'm not too picky on who I play with. Uh... my favorite games are Pokemon Ruby/Blue, BF3, Kirby (some GBA version), Banjo Kazooie N&B, and Halo 2. Started gaming with a Super Nintendo (Excitebike and Mario ) then went on to get a GBA with Pokemon Ruby. Then PS2, then Xbox 360 (current). I hope to move from being a console pleb when I get some money. I'm hxsolo. I browse the forums while at work and have been a member here since April. I love the intelligent discussion and dissection of the game mechanics here. The sense of humor doesn't hurt either. I live in the northern midwest of the USA, probably am older than almost all of you, am married to a sweet euro girl, and work as an HR professional at a large university. I grew up gaming and was a PC gamer exclusively after the fall of the original Playstation. I now game on PS3. 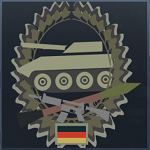 I will happliy accept PSN invites for anyone looking to PTFO as a real squad. Since my introduction wasnt tthat detailed and a bit outdated, I'll make a new one for this thread. My name is Jordy, I'm 19 years old and I live in Aalst, Belgium. I was born in Holland but my parents divorced when I was 7. My mum fell in love with a Belgian man and we moved to Belgium when i was 10. I've been gaming all my life. I had a SNES and my mum bought me a N64 on launch. I've also played PC games back on the old days, but I'm a console peasant now. What did I play? My first PC game was Doom when I was 5. Then I've played the very first edition of The Sims as well. Then I stopped playing PC games and moved on to the PS2. I have also played a lot of Counterstrike Source after that. My favourite food is spaghetti, and basically everything Italian. I love whisky and rum. I used to listen to all kinds of metal, but 4 years ago I started listening to dubstep. Occasionally I listen to DnB. I am a student in coding software, coding websites (webdesign) and building computers. I want to design websites for a living when I'll finish school. tl;dr I'm secksy, bear my children.